ConferenceSeries llc LTD is pleased to invite you to participate in the 25th World Nursing and Healthcare Conference (Nursing Conferences) during July 11-12, 2019 at Vienna, Austria with a theme, “Current Challenges and Innovations in Nursing Education and Healthcare”. 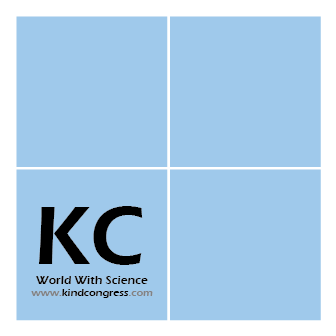 ConferenceSeries llc LTD Organizes 1000+ conferences every year across the USA, Europe and Asia with support from 1000 and more scientific societies and publishes 700+ open access journals with over 100,000 eminent personalities, reputed scientists as editorial board members. 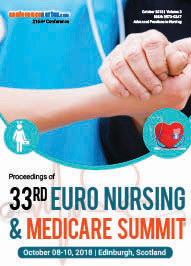 This year World Nursing 2019 (Nursing Conferences) meeting makes a stage for specialist’s cooperation at the same time it is a global platform to discuss and learn about exchange research evidence, innovative ideas and models of best practice. World Nursing 2019 covers a wide range of nursing topics such as Nursing Education, Nursing Practice, Healthcare Management, Nursing Types, Pediatric Nursing, Midwifery and maternal aid, Community Nursing, Emergency Nursing, Clinical Nursing, Mental Health Nursing, Critical care Nursing. The World Nursing 2019 (Nursing Conferences) organizing committee is confident that participants will benefit from the high value scientific program. We welcome all the researchers/practitioners to join us at Vienna, Austria for three days of stimulating discussions, knowledge sharing, and networking events. World Nursing 2019 aims to discover advances in health practice opportunities and challenges for the nursing community, management and education in relation to health disparities as well as a breadth of other topics. According to the reports, total health care spending of Vienna is 9.5% of GDP according to 2014 and estimated to increase by 10.6% by 2018. Estimated healthcare expenditure of Denmark is $208 million, it is higher compared to other countries in Europe. Health care spending of Latin America is $89.2 billion and expected to increase to $101.8 billion by 2018. 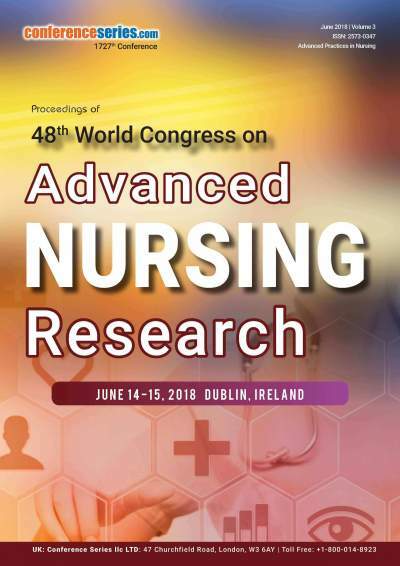 World Nursing 2019 brings together individuals who have an interest in different fields of nursing like psychiatric, cancer, cardiac, critical care, adult & women health, legal, pediatric and emergency nursing, midwifery, public health, healthcare & medicine from practice, research, administration, policy and education. It is a forum to explore issues of shared concern as well as exchange knowledge, share evidence, ideas, and generate solutions. Conference Series through its Open Access Initiative is committed to create genuine and reliable contributions to the scientific community. This conference brings together individuals who have an interest in Nursing Education and Healthcare, development and research. World Nursing 2019 provides a great opportunity to share and receive knowledge and to know about new technologies and skills in nursing. You can learn new passages of Nursing Education and Healthcare, calibrate your intelligences and work with new technologies and gain ideas from experts at the forepart of Healthcare and Medicine. Everyone who explores to develop their organization's nursing qualities and gain more about advanced technical cleverness is invited to register. We assure our attendees return to their clinics with a confidence to improve their nursing research and equipped with certified procedures to work with. Nursing Education is skill based training provided to the nursing opted students. They are provided with training on care of individuals and communities and families to attain, recover their optimal health. 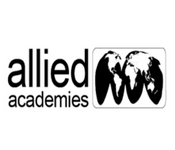 They may vary from regions and approach based on their scope of practice and their diversity in practice. Market Research: Nursing domain in the healthcare sector includes the provision of medical care to individuals and communities to help them in recovering from an ailment and maintaining optimal health. Many kinds of theoretic and practical training provided to nurses, with the aim of preparing them for performing duties as nursing care professionals, is called nursing education. 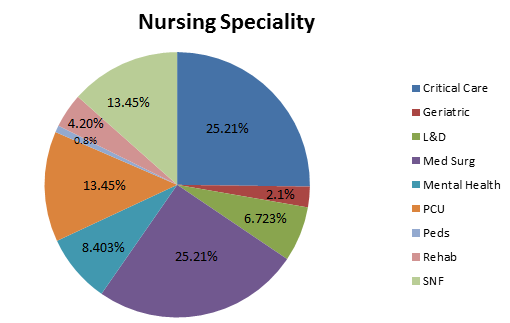 The analysts forecast the nursing education market in the US to grow at a CAGR of 20.26% during the period 2017-2021. 30th International Pediatric Nursing and Healthcare Conferences, August 26-27, 2019 London, UK; 51st World Men in Nursing Conferences, July 29- 30, 2019 Dublin, Ireland; 6th Annual Emergency Nursing and Critical Care Conferences, July 11-12, 2019 Vienna, Austria; 4th World Patient Safety Conferences & Quality Healthcare, June 27-28, 2019 Vienna, Austria; 27th Cancer Nursing and Nurse Practitioners Conferences, July 11-12 2019, Vienna, Austria; 25th World Nursing and Healthcare Conference, July 11-12, 2019 Vienna, Austria; 50th International Nursing Care Conferences, 24-25 June, 2019 Moscow, Russia; 9th World Breast Cancer Conferences, April 25-26, 2019 London, UK; 6th International Emergency and Trauma Nursing Conferences, April 25-26, 2019 London, UK; 4th International Reproductive Health and Medicine Conferences, April 18-19, 2019 Berlin, Germany; 48th Global Nursing and Healthcare Conferences, March 04-06, 2019 Barcelona, Spain; Global Experts Conferences on Nursing and Healthcare, July 11-13, 2019, London, UK; International Family Nursing Conferences, August 13 - 16, 2019, USA; Midwest Nursing Research Conferences, March 27 - 30, 2019, USA; Annual Clinical and Research Conferences April 11-13, 2019 | New Orleans, LA, United States; Family Nurse Practitioner Conferences, Jan 03 - 05, 2019 | Chicago, USA; Primary Care and Women's Health Conferences, Jan 12 - 19, 2019 | Honolulu, Hawaii; Medical Ethics and Professionalism - Nurse Edition, Jan 11 - 12, 2019 | Irvine, USA; Rural Emergency Nursing Conferences - Coffs Harbour, Jan 17 - 18, 2019, USA; Beating Burnout in Nursing Conferences, Jan 24 - 25, 2019, Queensland; 2019 Psych Retreat by North Carolina Nurses Association Conferences, Jan 25 - 26, 2019 | Charlotte, North Carolina; Beating Burnout in Nursing Conferences, Jan 29 - 30, 2019, Port Melbourne, Victoria. Nursing practice or Nursing Practitioners are Registered Nursing Specialists who are well trained and educated to promote and maintain the health through diagnosis and treatment. They should have knowledge based skill and decision making to deliver better healthcare. Nurses are considered as primary healthcare providers as they are initially deliver a need of patient care. Market Research: Residential Nursing Care industry provides space and intensive nursing care. Industry revenue is expected to rise by 2.7% over the five years through 2017-18; Demand is anticipated to continue to expand over the next five years. Healthcare discusses to treatment and diagnosis and prevention of diseases and disorders and to provide complete mental and physical impairment to patients. It is of different types like primary, secondary. Different countries expends different amount of their GBP for their healthcare. They have their own policies in healthcare management conferences. Healthcare systems provide the health needs to people of different areas. Market Research: Worldwide market for assistive devices for special needs reached nearly $15.9 billion in 2018 and should reach $20.1 billion by 2023, at a compound annual growth rate (CAGR) of 4.9% for the period of 2018-2023. Nursing is a skill based profession in which they are trained in choice making and management of healthcare. There are more than 10 types of different nursing specialists in which they are expertise in different areas and provided with skill based training. They are the leading healthcare providers in all the sides. There are around 3908229 professionally active nurses in USA and about 20380000 register nurses all over the world according to 2015. Market Research: Global nurse call equipment system market size was prized at USD 870 million in 2016 and is projected to grow at a CAGR of 13.7% over the forecast period. The rising need for more integrated clinic platforms, preference for mobile devices, and changing reimbursement scenario are expected to fuel the market growth in the coming years. Cancer nursing are the specialists who take care of the patients with cancer and tumours. They inspect and monitor the conditions of the patients. They prescribe medicines and they take care of chemotherapy and other treatments. They will be graduated in cancer nursing care and they are well trained nursing professionals in cancer care. 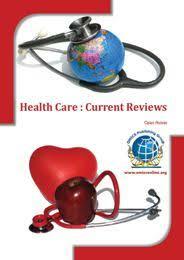 Oncology nursing conferences efforts on diagnosis and treatment of cancer in different individuals. Cancer is the main source of deaths in numerous countries. Oncology nurses are trained to provide care to patients through chemotherapy, radiation treatments in advanced stage of cancer. Market Research: Cancer nursing results informed the research agenda team as they synthesized the research literature and determined the state of the science, including recent advances and on-going gaps in the evidence base for oncology nursing practice. Clinical Nursing conference brings together individuals who have an attention in different fields of nursing like psychiatric, cancer, cardiac, critical care, adult & women health, pediatric and emergency nursing, midwifery, public health, healthcare and drug from practice, research, administration, policy and education. It is a meeting to investigate issues of mutual concern and additionally exchange knowledge, share evidence and thoughts, and produce solutions. 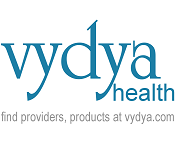 Market Research: Clinical Nursing as per the reports, add up to spending on long haul mind in the UK was £44.1 billion out of 2015, comprising of £33.7 billion on long haul mind (wellbeing) and £10.3 billion of long haul care and assessed to increase of 10.5% by 2017. Social insurance use of Europe is $152.2 billion and anticipated that would increase to $180.8 billion by 2018. Nursing practitioners are registered nursing specialists who are well trained and educated to promote and maintain the health through diagnosis and treatment. They should have knowledge based skill and decision making to provide improved healthcare. Nurses are considered as primary healthcare providers as they are originally provide a need of patient care. Market Research: There are a number of reasons as to why this increase took place, and many of these reasons are still true today. 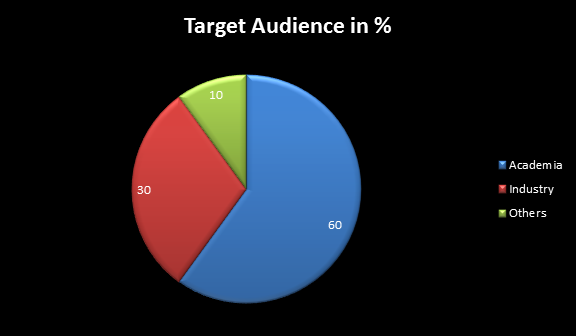 In addition, a number of new trends have emerged as well. The U.S. Bureau of Labour Statistics expects a growth of around 19% in this field by 2020, well above the national average. Pediatric Nurses efforts on the care of children, infants and adolescents. A pediatric nurse is a registered nurse must be certified by the state after having completed a minimum of an associate's degree in nursing and passing a national licensing exam. They are qualified in care of infants and children. 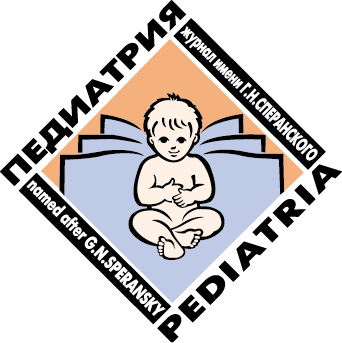 Market Research: Pediatrics is the branch of medicine dealing with the care of infants, children and adolescents and the prevention and treatment of their diseases. Medicaid funding for children estimates about 20% of total funds, yet children makes up about 60% of enrollees. Typically, nursing homes and geriatrics utilize the most Medicaid dollars but for a much smaller population. While healthcare reform is an on-going issue, the unique needs of children need to be included. Surgery is medical specialty that uses operative physical and instrumental techniques on a patient to investigate and/or treat a pathological condition to help improve bodily function and repair unwanted ruptured areas. Surgery is a technology consisting of a physical intervention on muscles. Total number of procedures done all over the world is approximately 234 million. The yearly revenue of surgical procedures can be approximated to USD 1676.66 million. Market Research: The global surgical marketplace reached $385.5 million in 2012 and $419.7 million in 2013. 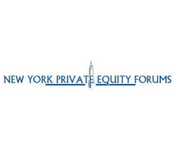 This market is expected to grow to $631.9 million in 2018, a compound yearly growth rate (CAGR) of 8.5% from 2013 to 2018. Nursing has a place with that works with patients who meeting the evil impacts of various conditions of the cardiovascular system. Cardiovascular therapeutic carers or cardiovascular medical attendants cure those conditions, for instance, temperamental angina, cardiomyopathy, coronary course disorder, congestive heart dissatisfaction, myocardial dead tissue and heart dysrhythmia under the supervision of a cardiologist. Heart therapeutic medical attendant specialists have the honest work to do in essential condition. They are set up for different practice go, including coronary supposed units (CCU), heart catheterization, genuine patient thought units (ICU), working theatres, cardiovascular recuperation centres, cardiovascular thought centre clinical investigation, cardiovascular surgery wards, cardiovascular concentrated supposed units (CVICU), and cardiovascular remedial wards. Market Research: Market growth for the interventional cardiology devices market is primarily driven by the growing incidence of CVD and technological advancements in interventional cardiology devices. Devices market is probable to reach USD 20.85 Billion by 2022 from USD 14.52 Billion in 2017, at a CAGR of 7.5%. Midwifery meetings mainly focus on pregnancy, childbirth, and the postpartum period (including care of the newborn), besides sexual and reproductive health of women throughout their lives. A specialized in midwifery is known as a midwife. Midwives play a critical role in educating the women how to put up her health and baby’s health. They also help in making the delivery painless, strain less as far as possible. Midwives are the focal idea of fascination in maternity health care. Taking up this course includes increasing a superior administration to lady amid conveyance which is an urgent stage in her life, which in the long run leads in building a sound family and society. Neonatal nursing is a subspecialty of nursing that works with babies considered with an assortment of issues extending from rashness, birth abandons, disease, cardiovascular mutations, and surgical issues. The neonatal period is characterized as the main month of lifetime; in any case, these infants are regularly wiped out for a large length of time. Market Research: Global market for neonatal infant care equipment is expected to see a strong development between 2017 and 2024. The global neonatal infant care equipment market is expected to reach US$ 2,686.7 Million revenue towards the end of 2024. World Nursing 2019 welcomes all the attendees, researchers, presenters, associations and exhibitors from all over the world to Vienna, Austria. We are delighted to invite you all to attend the “25th World Nursing and Healthcare Conference” which is going to be held during July 11-12, 2019 Vienna, Austria. This Conference Committee is gearing up for an exciting and informative conference program including plenary lectures, symposia, workshops on informative topics, poster presentations and various programs for participants from all over the world. We invite you to join us at the World Nursing 2019 to share meaningful experience with scholars from around the world. We look forward to see you at Vienna, Austria. Nursing is a healthcare profession focused on the care of individuals, relations, and communities so they may attain, maintain or recover optimal health and quality of life from birth to death. Nursing is among the fastest-growing fields, and it has a robust profession market, which makes it very attractive to people in search of a new or first career. In Singapore, there is a large quantity of exceptional nursing programs available, both online and traditional. Registered nurses that have specifically qualified as family nurse practitioners can serve as both primary, and specialty health care providers. Like a family doctor, a family nurse practitioner usually works with patients throughout their entire life, conducting examinations whenever necessary, diagnosing illnesses and conditions, and even prescribing medication in some circumstances. Nursing Conferences aims to learn advances in health practice, management and education in relation to health disparities as well as a breadth of other topics. The conference will facilitate a succession of discussions about state-of-the-art processes, organizational transitions, analytics, and technology innovation within the health industry and academia, regarding transformational care delivery and health management models. 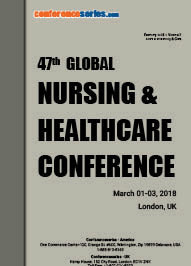 Nursing Conferences brings together those who have an interest in different fields of nursing and healthcare like psychiatric, cancer, cardiac, critical care, adult & women health, legal, paediatric and emergency public health, midwifery, nursing, healthcare and medicine from practice, research, administration, corporate executives, policy and education. It is a forum to explore topics of mutual concern as well as exchange knowledge, increased visibility of nursing research, share evidence, ideas, and generate solutions. It will offer exposure to the possibilities to nurses and nursing profession. 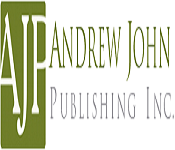 It will also provide insight to the novel inventions and methods used in clinical practices and clinical applications. In advance of knowledge and it is very beneficial for the students, physicians, nurses, doctors, health care practitioners, professors, clinical nurse specialists. It also gives opportunities to the nursing societies in Austria and all over Europe to showcase their knowledge and skills and have direct meetings with scientists who are in research and growing their business opportunities and develop new technologies. It also gives opportunity to recognize the market competitors in the field of Nursing and Healthcare. In Vienna, and many other parts of the world, the demand for Nursing & Healthcare services is increasing as the nurses are important members of health teams and as health specialists closest to the public play a critical role in health promotion, illness prevention, treatment and care. Nursing and Healthcare is a popular field of education in Vienna, Austria and is trained at universities in every state and territory. With different workplace surrounds and areas of expertise, Nursing can be a highly satisfying and healthful career choice. Nurses are vital important professionals who care for us when we’re at our most helpless. Whether we meet them in doctor’s surgeries, emergency rooms or even disaster areas and war areas, we depend on nurses to help us and our respected ones get better. But while nursing can be a totally rewarding career it can also be emotionally challenging, and the hours are often long and irregular—with the result that healthcare employers often struggle to fill roles. Let’s look at the state of the nursing employment market, and ways employers can attract more candidates. Because, let’s face it—we can’t live without nurses. Leading world Doctors, Registered Nurses, Professors, Associate Professors, Research fellows, Deans, Directors, Healthcare Professionals and many more from leading universities, companies and medical research institutions, hospitals sharing their novel researches in the arena of Nursing, Healthcare & Medicine. The past three decades have observed a remarkable growth in nursing care increase. In both Korea and the United States, nurse researchers are poised to address important issues related to the prevention and management of major health care problems. 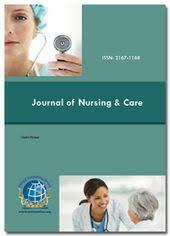 The need for greater nursing care development in the areas of self-management, geriatrics and genetics, health promotion across the lifetime, technology, and mental health are briefly highlighted. Future research efforts will be enhanced by interdisciplinary association and the creation of international nursing research centres. At the same time, we need to remain cognizant of the position of mentoring upcoming nursing research. 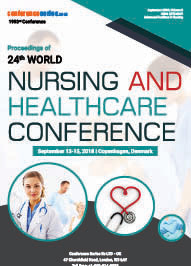 The “24th World Nursing and Healthcare Conference” (World Nursing 2018) hosted by Conference Series llc LTD during September 13-15, 2018 at Copenhagen, Denmark with a theme “Advanced Concepts and Frameworks for Nursing and Healthcare”, was a great success where eminent Keynote Speakers from various reputed institutions with their resplendent presence addressed the gathering. It was organized by Conference Series llc LTD and generous response was received from the Editorial Board Members of OMICS Group Journals as well as from eminent scientists, talented researchers and young student community. Researchers and students who attended from different parts of the world made the conference one of the most successful and productive events in 2018 from Conference Series llc LTD. The three day program witnessed thought provoking keynote and plenary presentations from experts in the field of Nursing and Healthcare, highlighting the theme, “Advanced Concepts and Frameworks for Nursing and Healthcare ". We are also obliged to various delegate experts, company representatives and other eminent personalities who supported the conference by facilitating active discussion forums. We sincerely thank the Organizing Committee Members for their gracious presence, support, and assistance towards the success of World Nursing 2018. With the unique feedback from the conference, we would like to announce the commencement of the "25th World Nursing and Healthcare Conference” is going to be held during July 11-12, 2019 at Vienna, Austria.